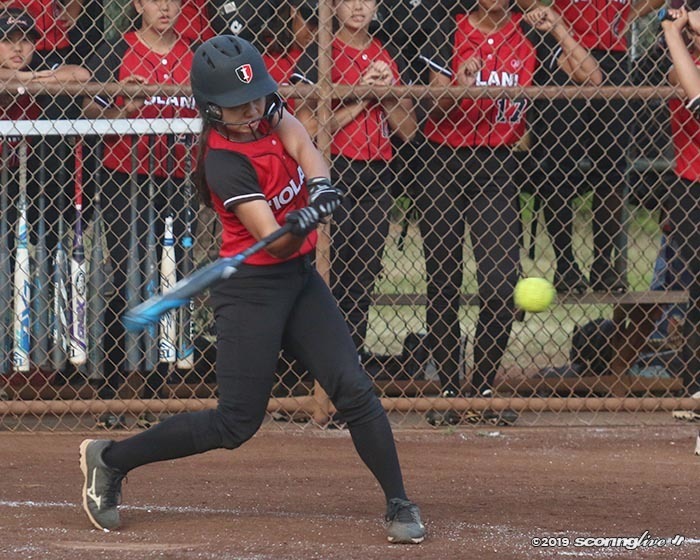 ALA WAI — Aleia Agbayani pitched a complete-game three-hitter and Allie Capello hit a three-run home run that was part of a five-run fifth inning to help No. 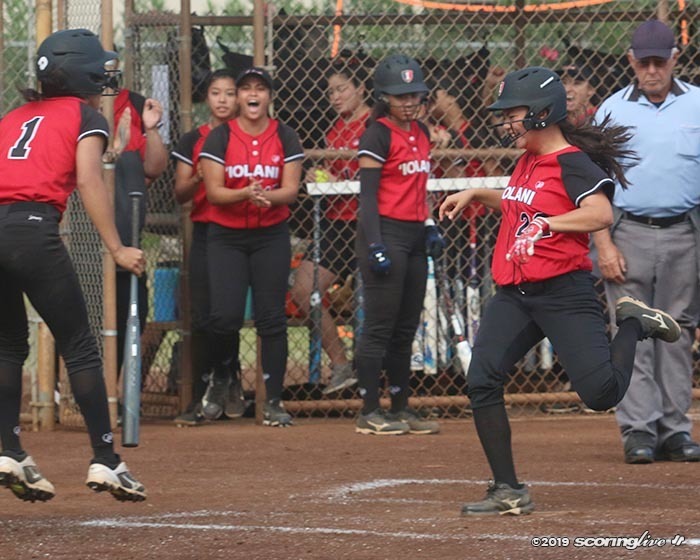 8 Iolani rally to a 6-4 win over No. 6 Maryknoll at Ala Wai Community Park Thursday afternoon. 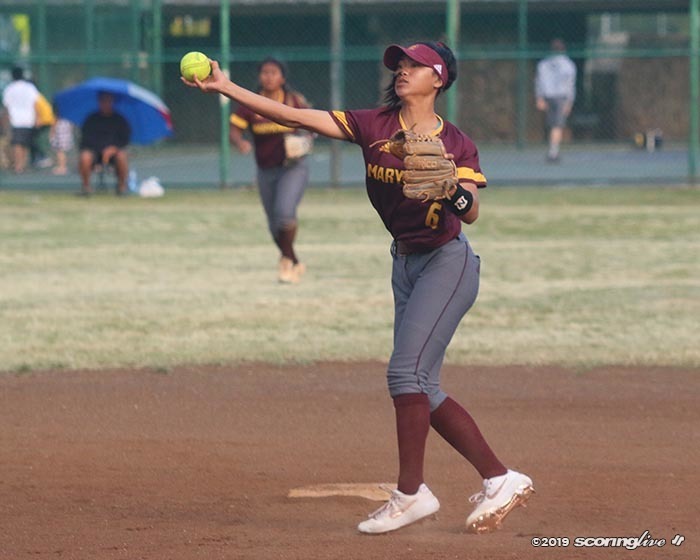 The Raiders (5-2) tallied eight hits and overcame three errors to pull even with the Spartans (5-2) in the Interscholastic League of Honolulu Division I standings. "This was a big momentum change for us. 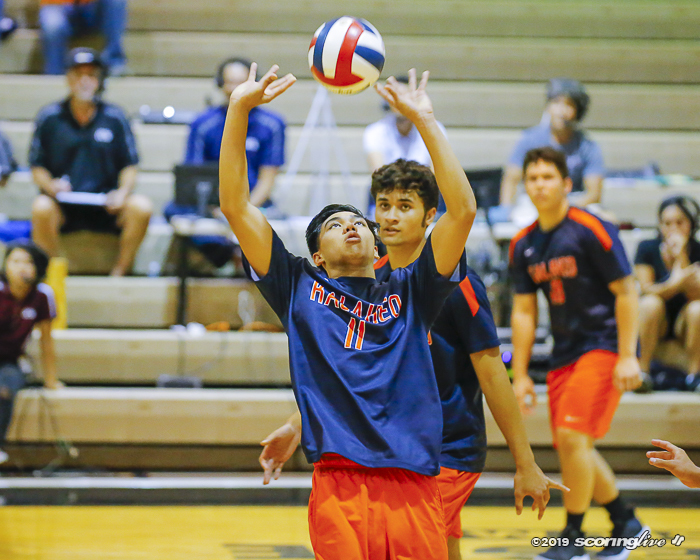 We really needed this win," said Agbayani, a senior left-hander. 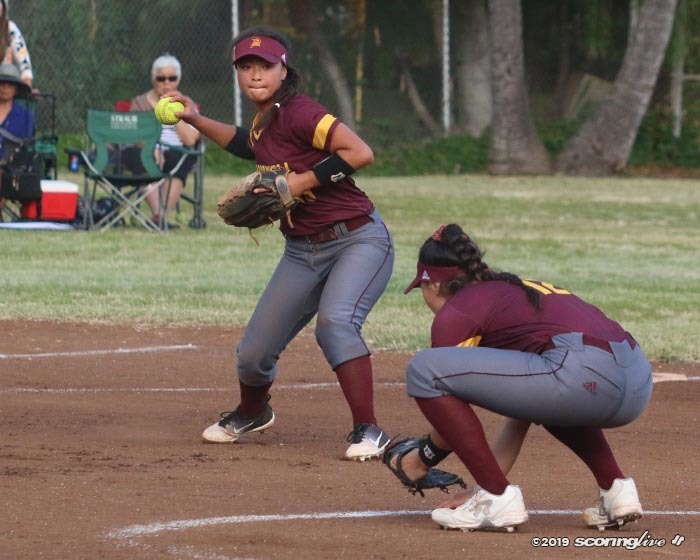 Agbayani allowed only one earned run to improve her record to 2-1 on the season. 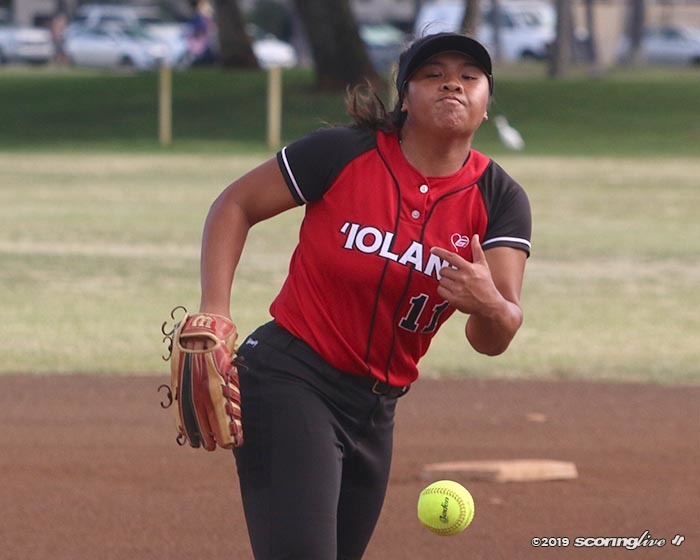 She issued five walks and had two strikeouts — her second to end the game — and lowered her ERA to 3.98. 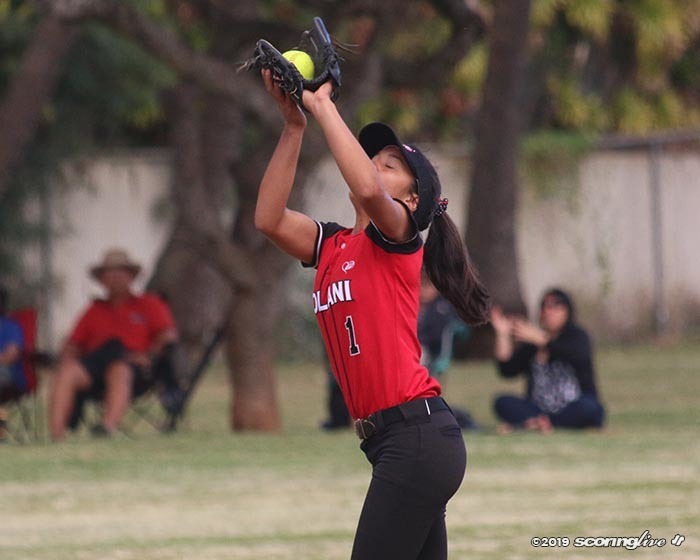 "She did a very fantastic job, I think," said her father and first-year Iolani coach Benny Agbayani. 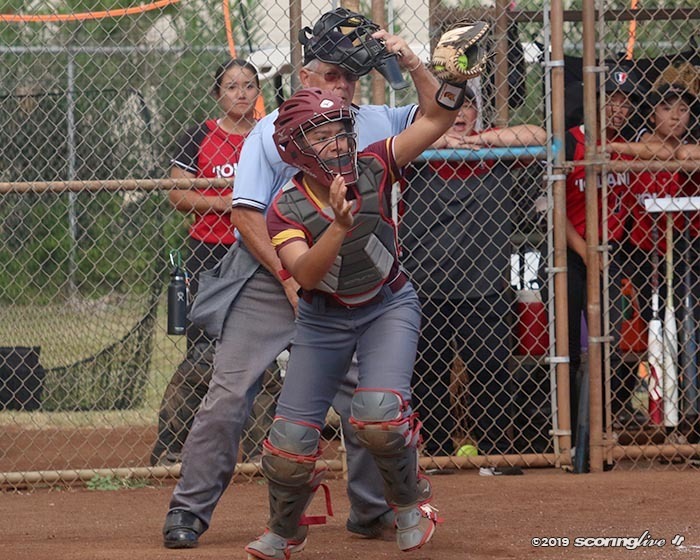 "She stepped up as a senior, she led this team and she deserves that win. This was very big. 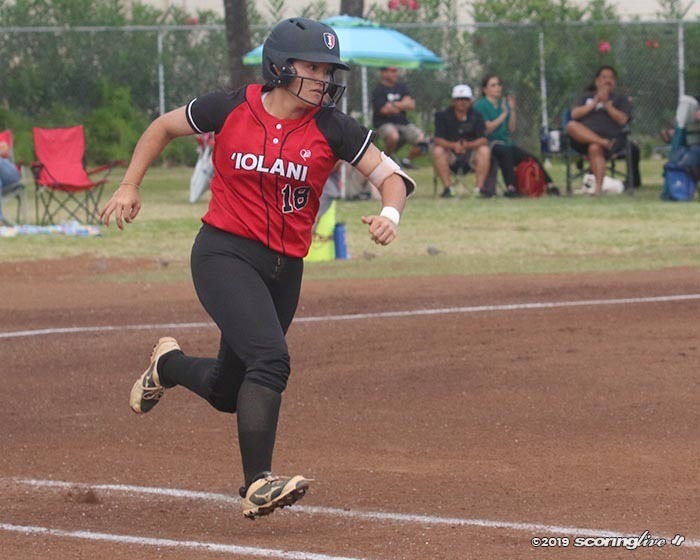 I think the players at Iolani, these softball girls, knew how important it was to finish up the first round (with a win)." 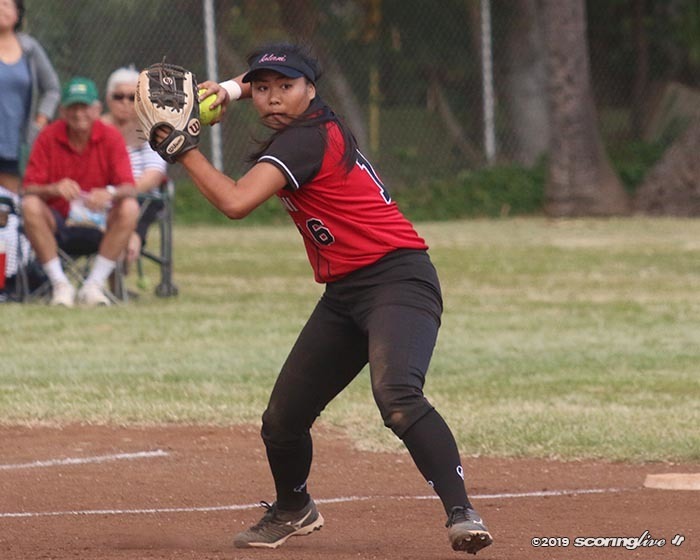 It was just the second time that Aleia Agbayani pitched a full seven innings in a game this season. 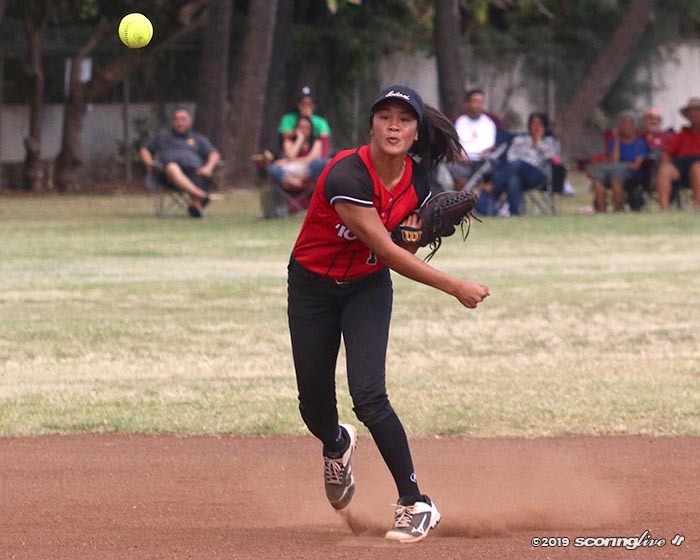 The only other time, she was tagged for eight earned runs on 13 hits in a 9-3 loss to Punahou. 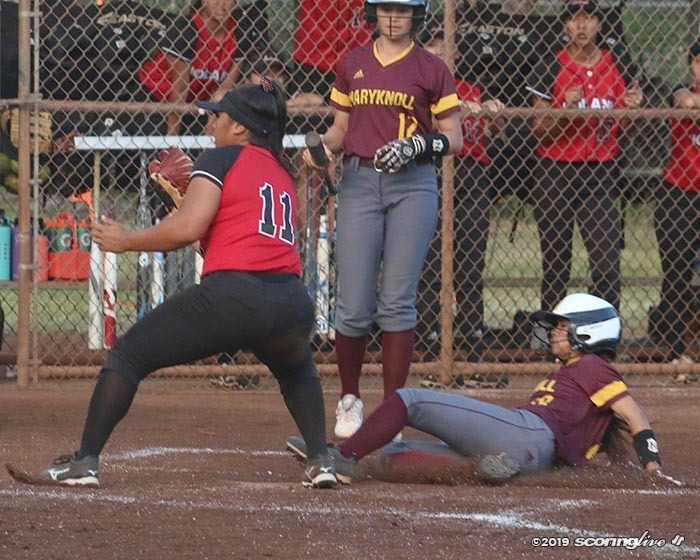 She said the key Tuesday was keeping Maryknoll's hitters off balance and not trying to overpower them. 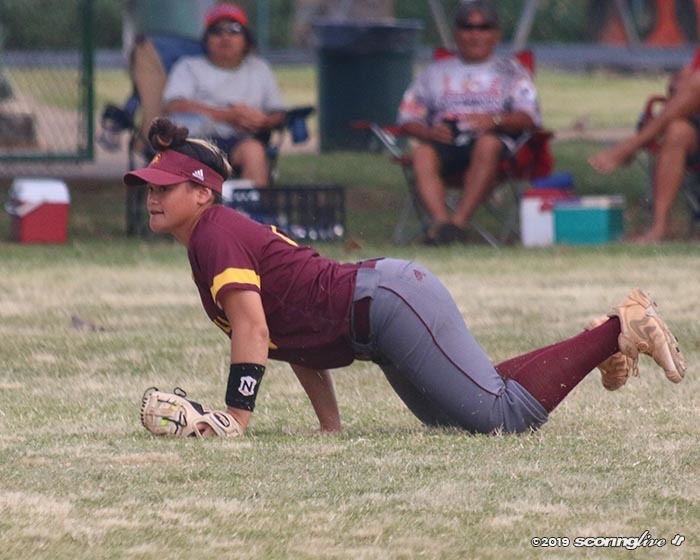 "Pretty much just keeping the ball down and spinning it, moving it around the plate a lot, kind of just keeping them on their toes," Aleia Agbayani said. 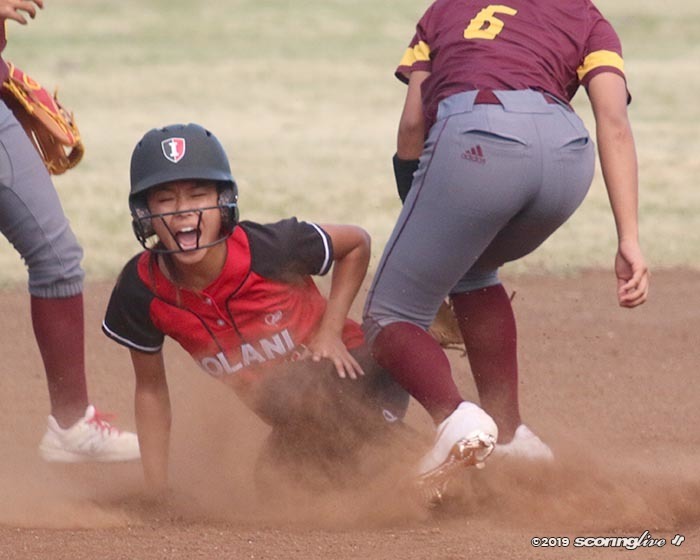 Iolani failed to cash in on any of the six runners that reached base in the first four innings, but the bats came alive in the fifth. It sent eight batters to the plate and scored five runs on four hits to turn a one-run deficit into a four-run lead. 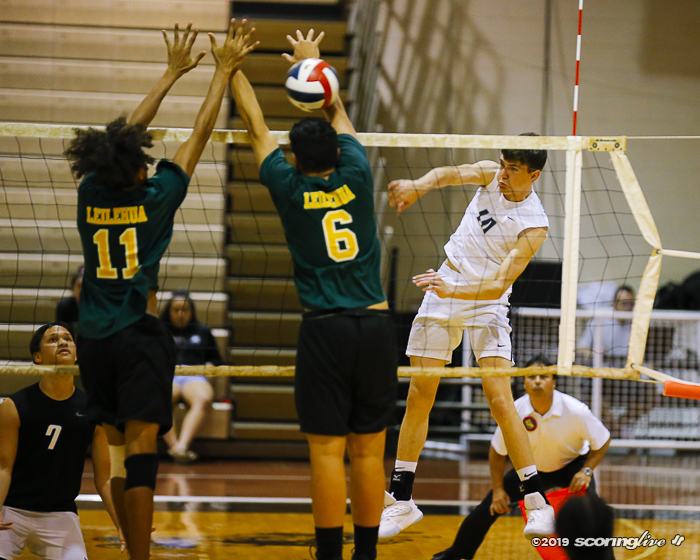 "I think we were a little bit nervous, but I think they came through and I just kinda talked to them and made sure that they understood that we're still in the game and it's one pitch at a time," Benny Agbayani said. 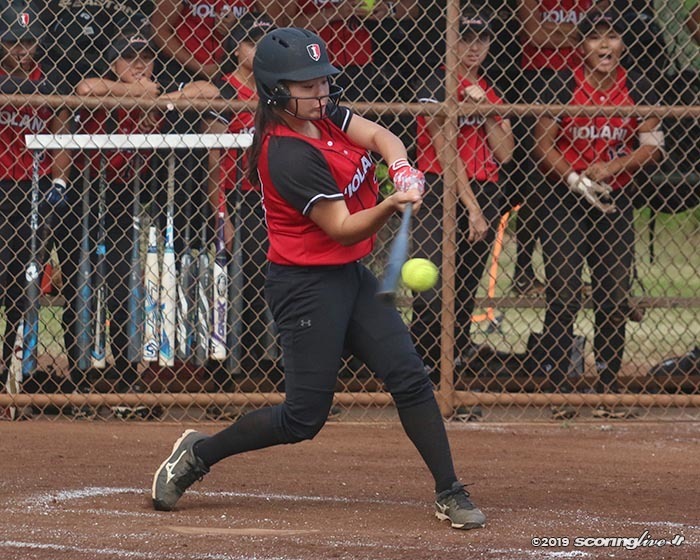 Rylie Wada led off the bottom of the fifth for the Raiders with a double down the left field line on the first pitch she saw in the at bat. 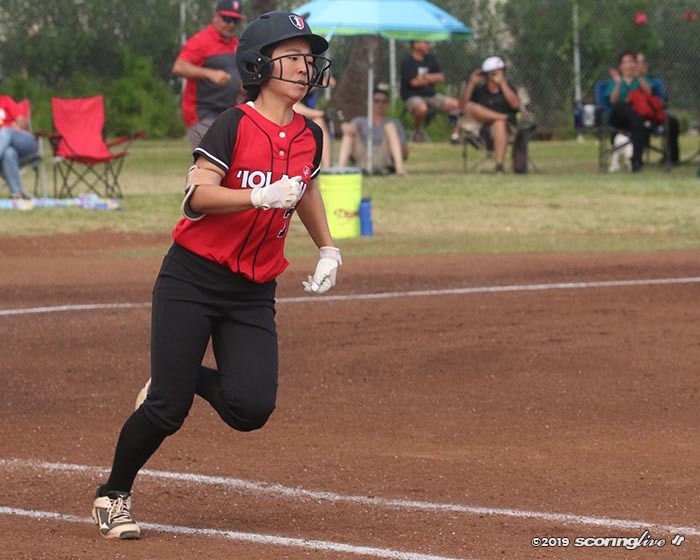 In her first plate appearance, Wada was unable to advance a base runner after she popped up a bunt attempt back to the pitcher. 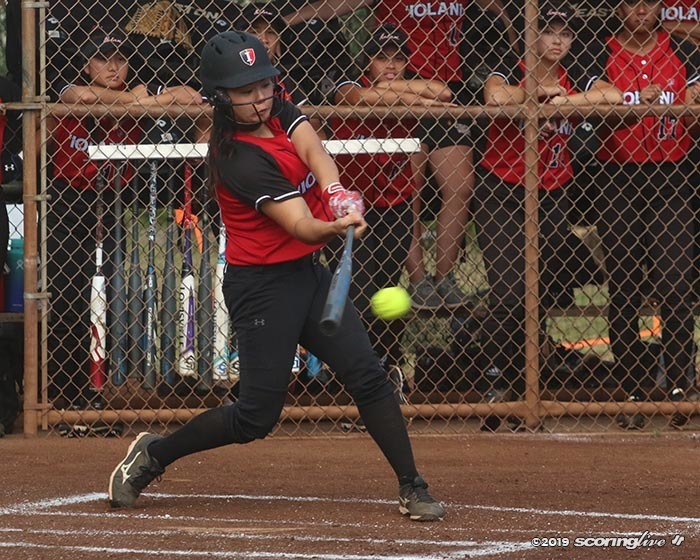 "That was very big," Benny Agbayani said of the junior first baseman. 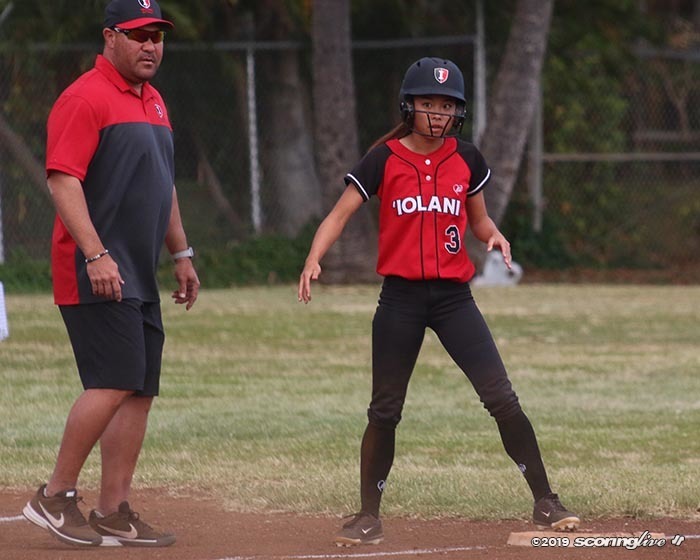 "I'm very proud of her, she made her adjustment after that bunt and she hit a double down the line and it started that rally." 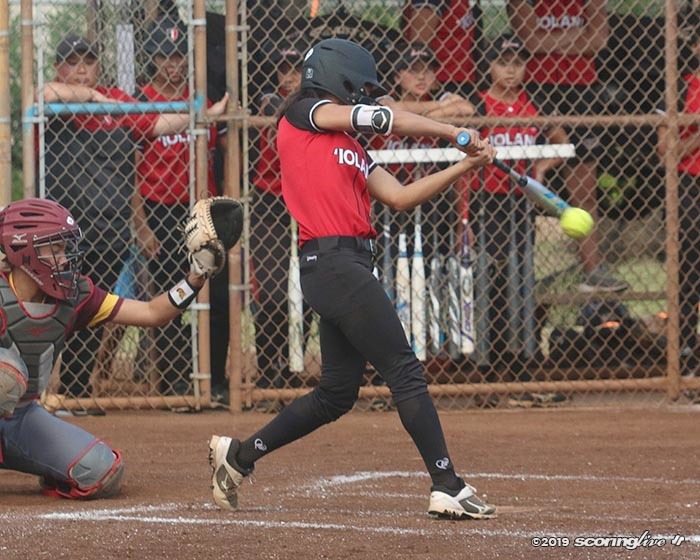 The double was Wada's first hit since March 4 and her first extra-base knock of the season. 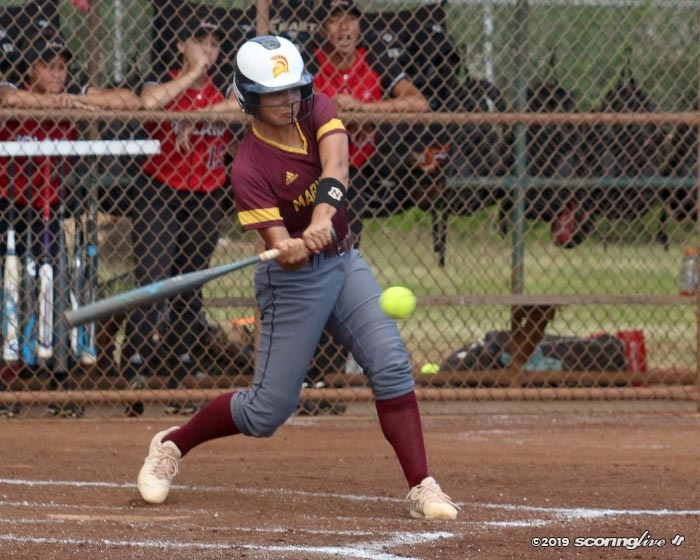 "I think just her getting that hit — because she's kind of been in a slump for a little bit — that was kind of a big change and that kind of put us back into that mindset like, ‘We got this, we can do it,' and then it kind of it just trickled down through the lineup," Aleia Agbayani said. 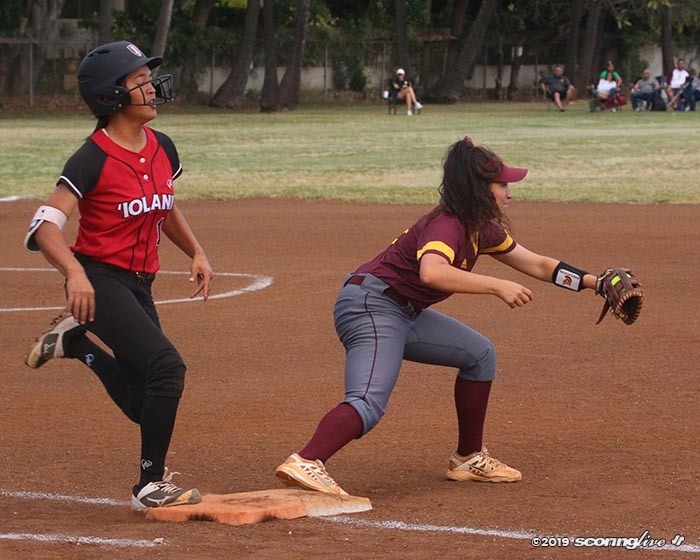 Kapili Lopes then reached on a fielder's choice after pitcher Aloha Akaka tried, unsuccessfully, to back door Wada at second base. 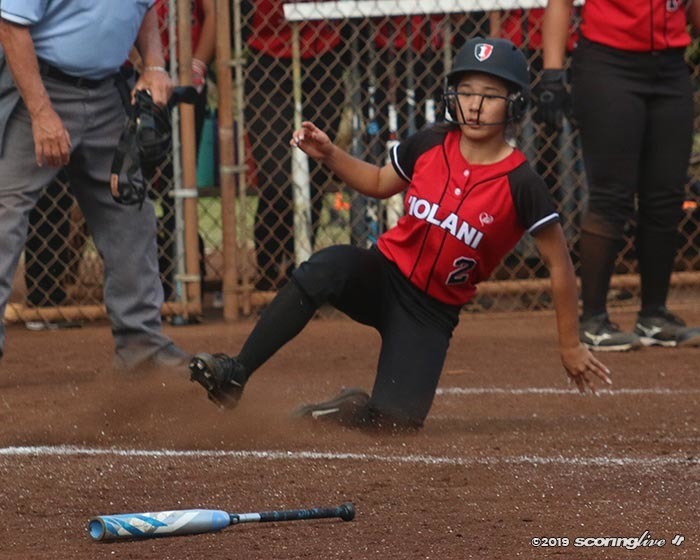 Following a Lexie Tilton sacrifice bunt, freshman Ailana Agbayani, a left-hand-hitting shortstop, hit a ground ball that found a hole in the right side of the infield to score both base runners and give her team the lead for good. 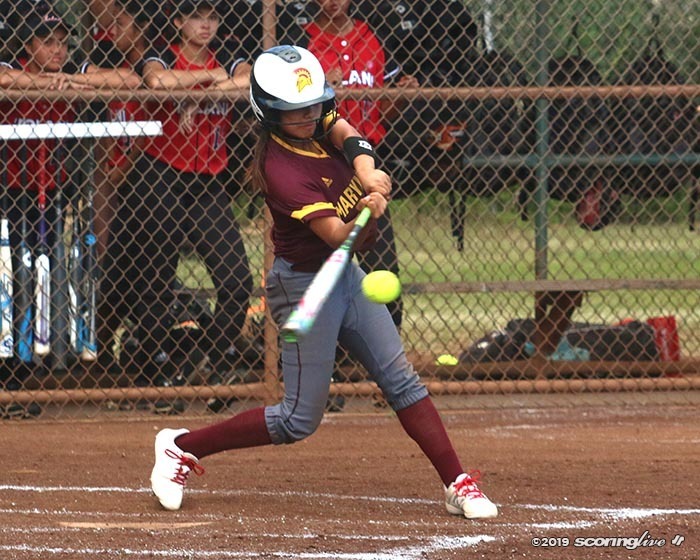 "I was just thinking to hit a hard ground ball," Ailana Agbayani said. 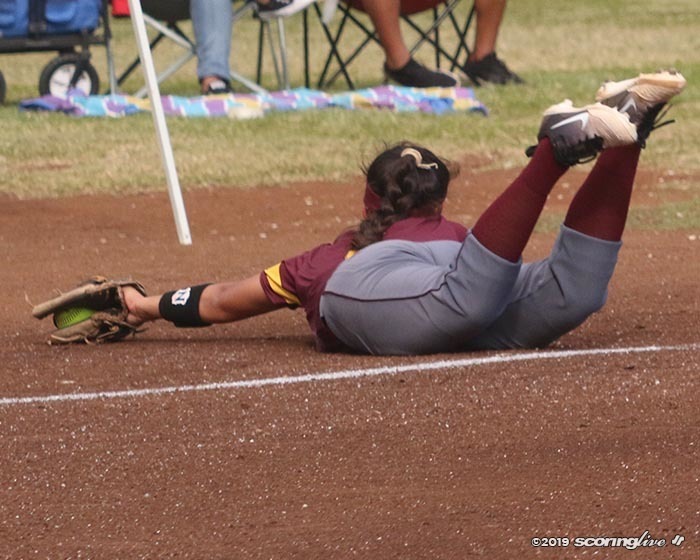 "Just hit it hard on the ground and hopefully they score and we just get it past through (the infield). 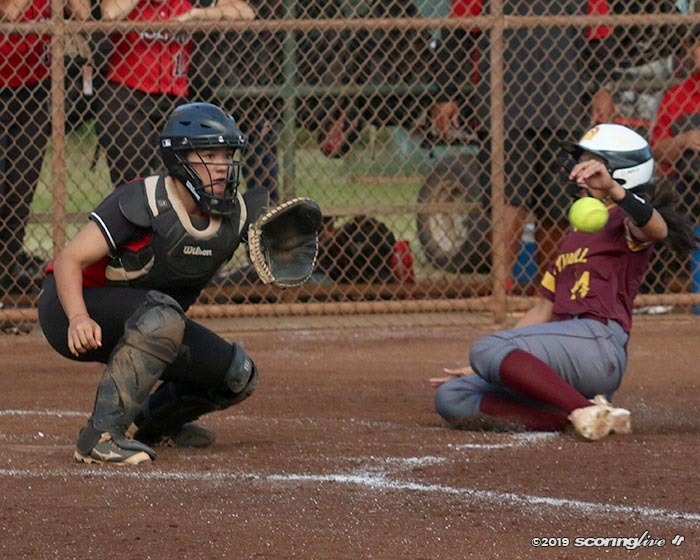 That's been our mentality, because everyone can catch a pop-up — a lot of people were catching our pop flies — but when we hit it on the ground (the defense) would have to move their feet." 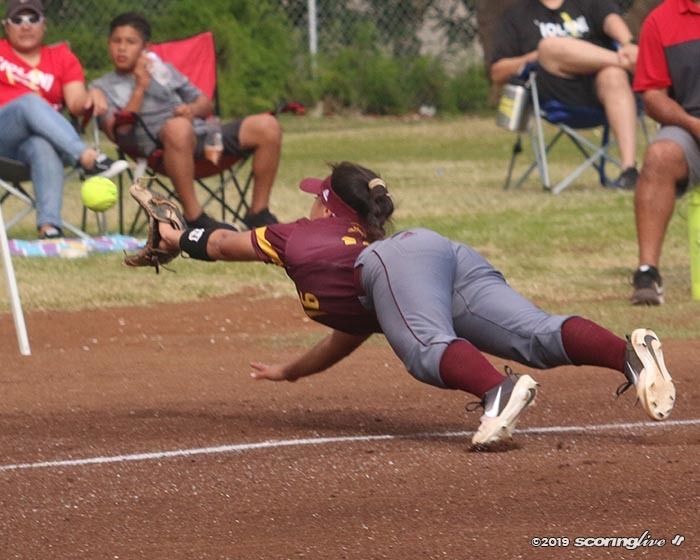 Older sister, Aleia, followed with a lined single to center that allowed Ailana to get from first base to third; Aleia took second on the throw into third base. 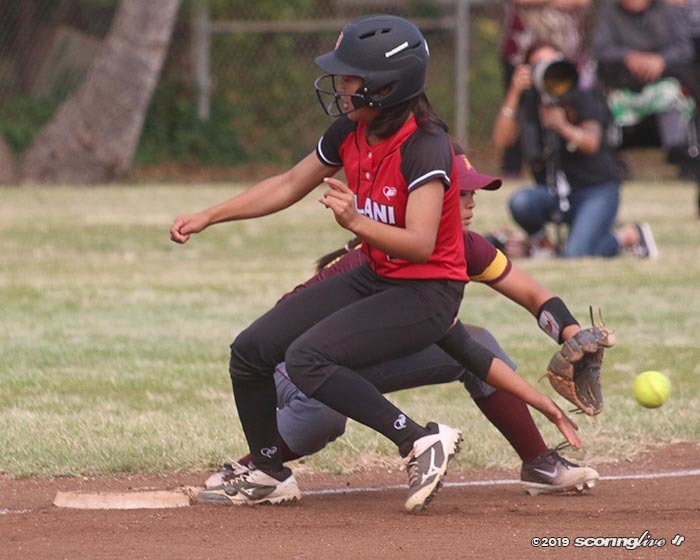 "It was a hit and run actually, but I had that mindset that I wanted to hit it," Aleia said. That put a pair of runners in scoring position for Capello, the Raiders' third batter in the lineup and a freshman right fielder. Capello took the first pitch from Akaka for a strike before smashing the next offering down the line in left. With no outfield fencing in place, the ball rolled out far enough to to easily allow both Agbayanis and Capello to score. 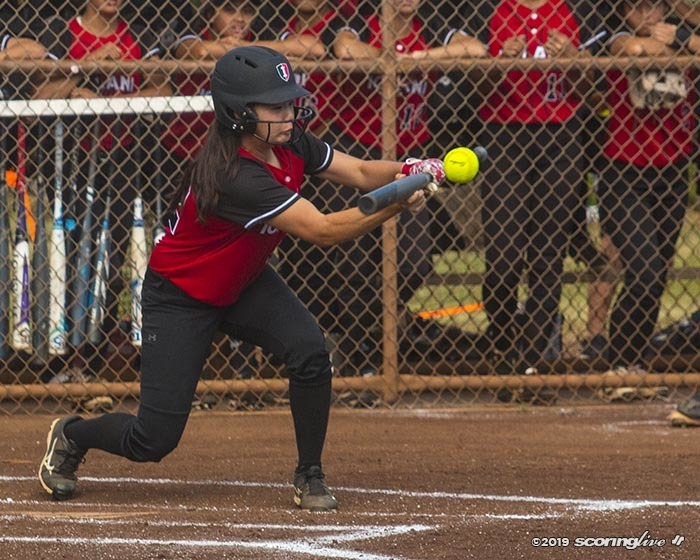 "The first pitch was an inside fastball and then she threw the inside fastball again and I just hit it," said Capello, who now has two home runs and 11 RBI on the season. 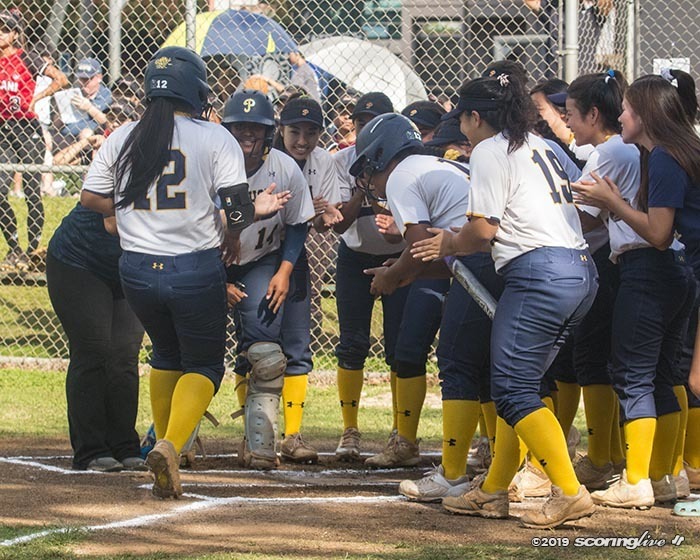 It was Capello's first homer since the season opener against Damien on Feb. 25 and her third extra-base hit this year. "I thought it was gonna be a double because it looked pretty far and I thought (the outfielders) were gonna raise their hands (to signal for a dead ball), but then I guess not, and then I started rounding third and then they just told me ‘go home' and I went home," said Capello, who is batting .450 and also has a record of 2-1 in the pitching circle. "I think it's very good. 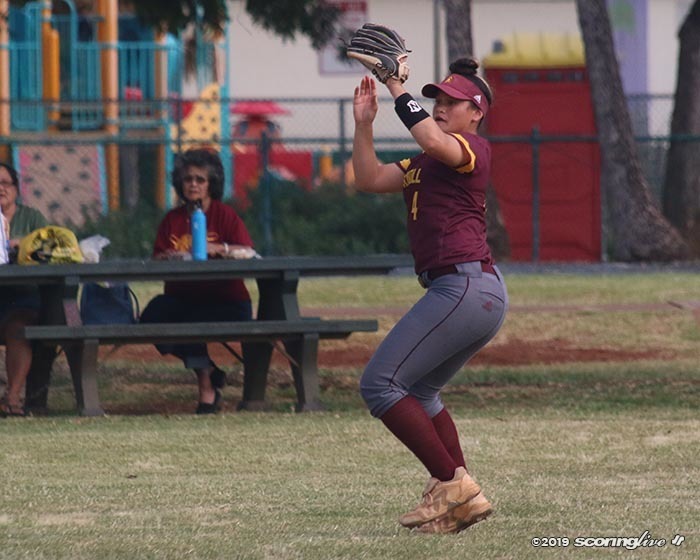 I mean, a freshman playing this year and she's been stepping up on the mound and at her spot in right field," Benny Agbayani said. 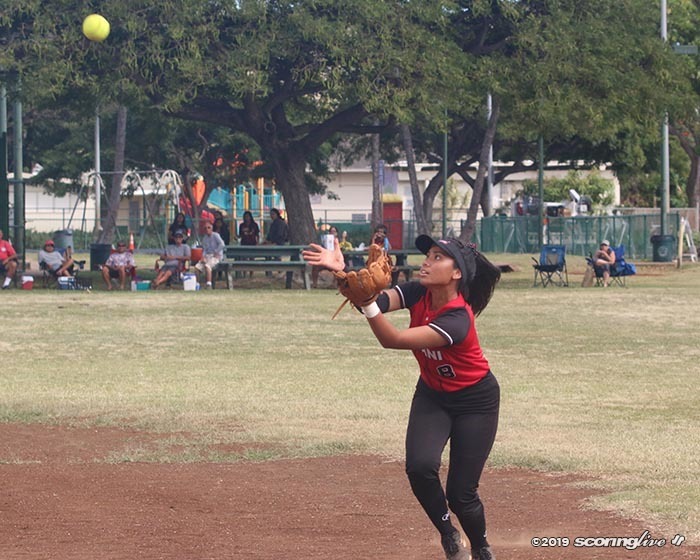 Akaka took the loss to fall to 3-2 on the season with a 6.70 ERA. 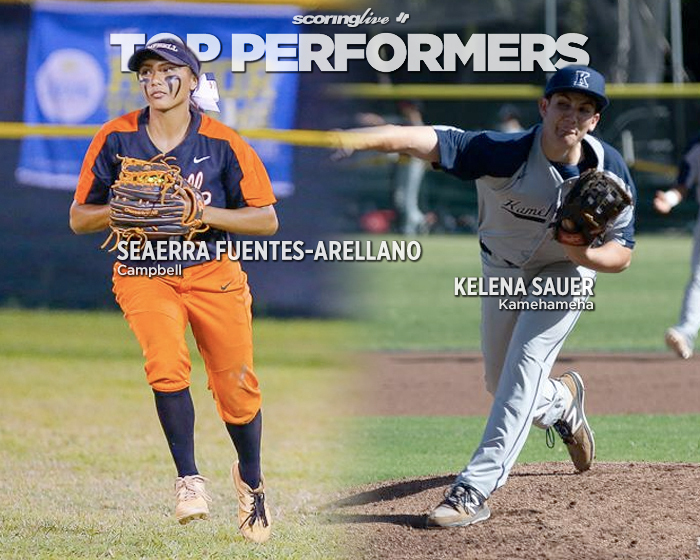 All six runs she allowed were earned. 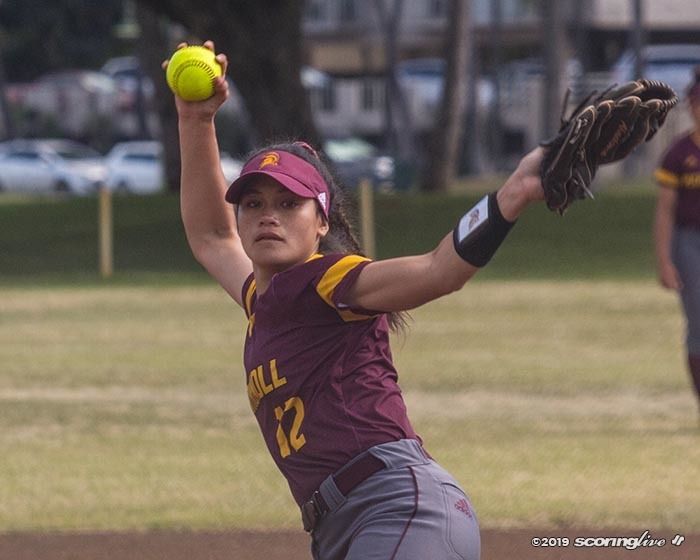 Akaka, a sophomore right-hander, walked three and struck out one in six innings. 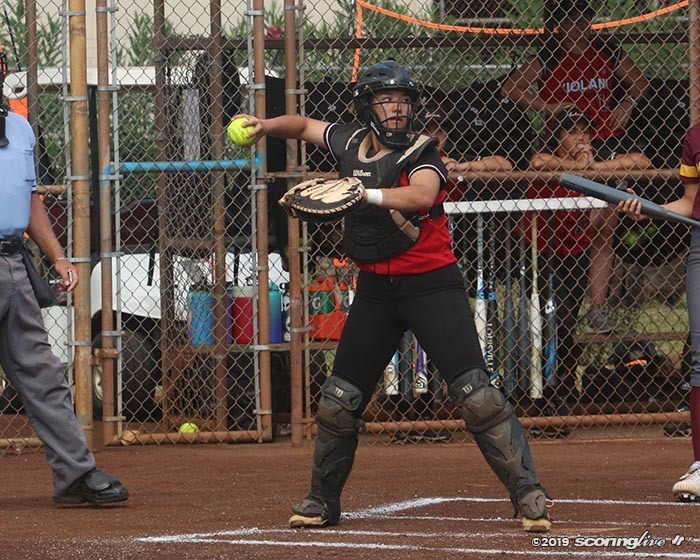 Four of the eight hits she surrendered came in the fifth inning. 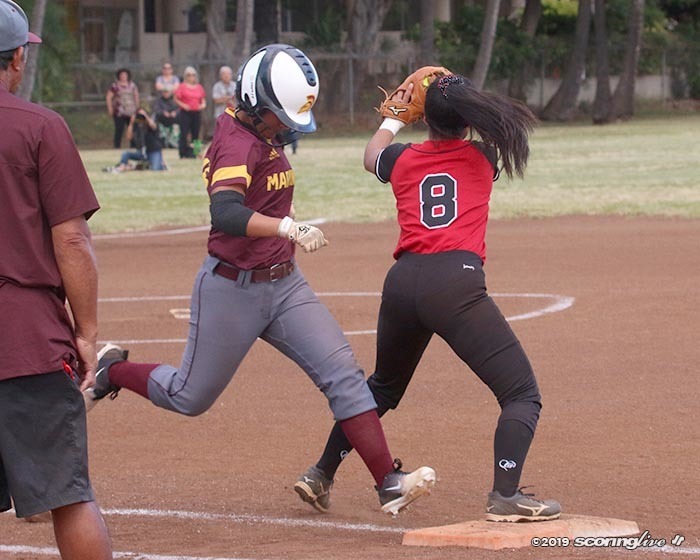 Maryknoll took the lead in the top of the third on Akaka's RBI-ground out to score Carys Murakami. 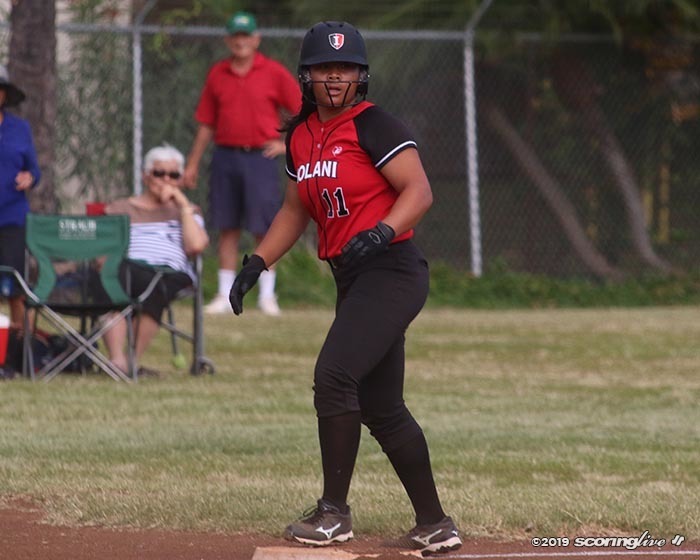 Allyze Pagaoa and Lexi Carlos each drove in a run in the top of the sixth inning to cut the Raiders' lead to 5-3. 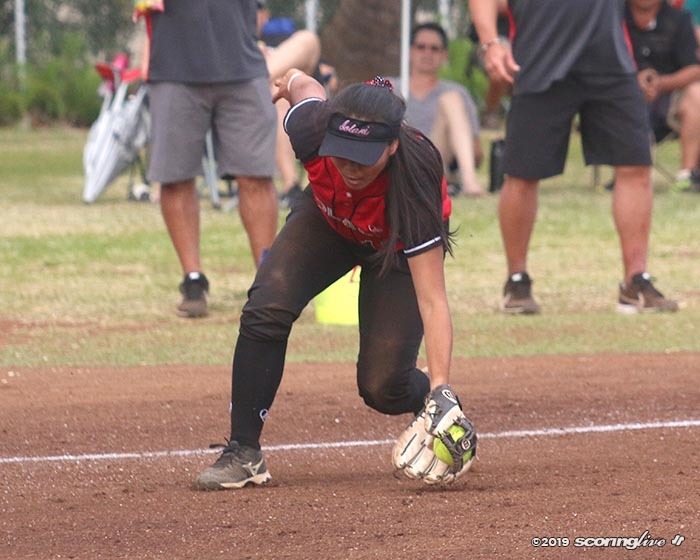 Iolani added an insurance run in the bottom half of the frame on Lexie Tilton's two-out, RBI-double. 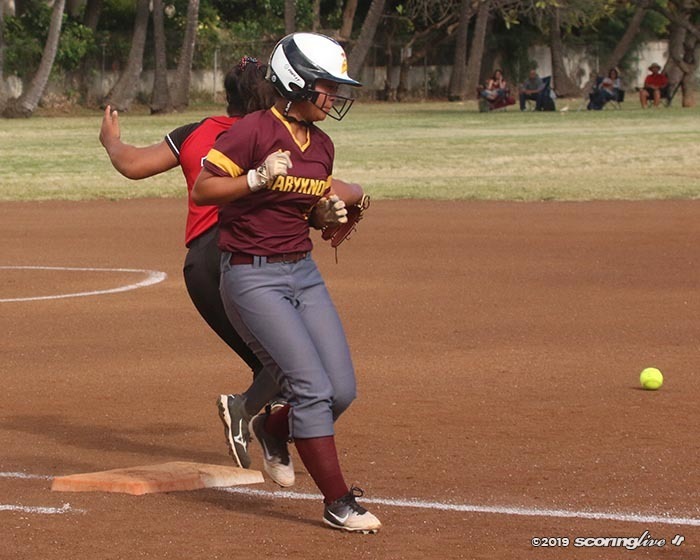 Breli-Rylin Agbayani-Shibao led off the top of the seventh for Maryknoll with a walk. 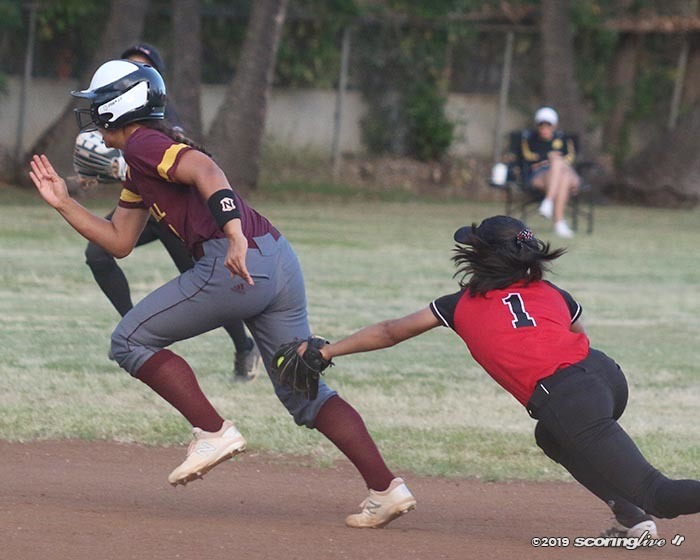 Murakami then reached on a fielding error, but was erased on a force play one batter later when Liliana Thomas grounded into a fielder's choice. 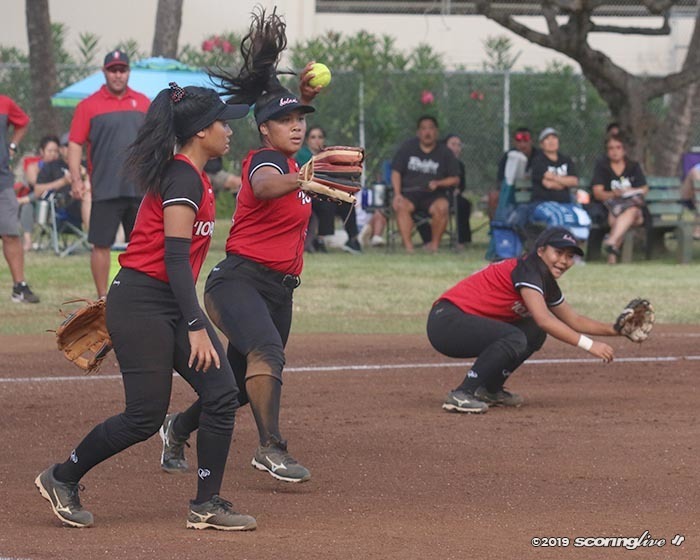 With Akaka at the plate, representing the tying run and runners at the corners, Aleia Agabayani fired a wild pitch that got by catcher Kai Barrett and to the backstop. 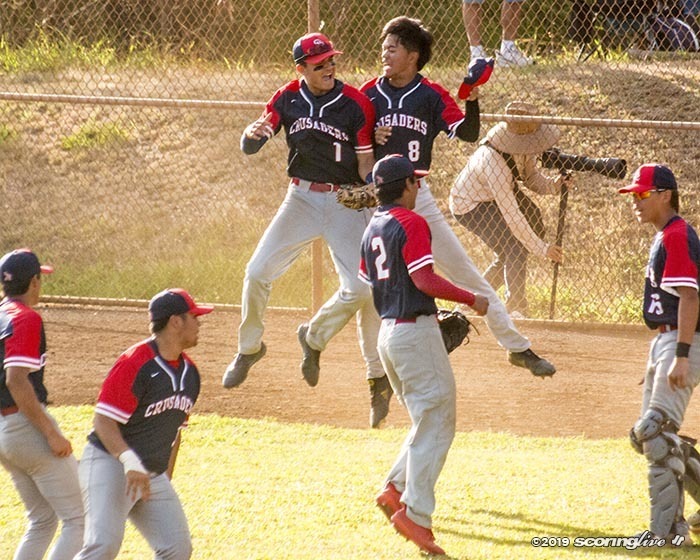 That allowed Agbayani-Shibao to score from third and Thomas to take second. However, Thomas got caught too far off the bag at second and was tagged out in a run down for the second out. 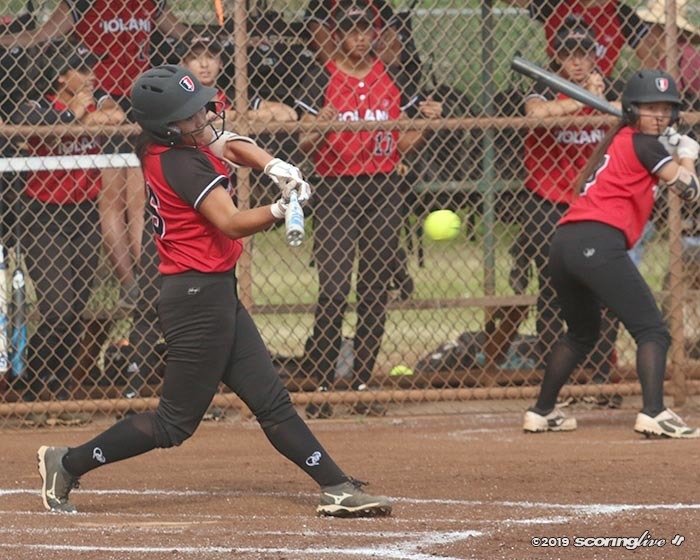 Agbayani then got Akaka to strike out looking on four pitches to end the game. The Raiders had lost two of their last three games entering Tuesday. The Spartans have now dropped two of their last three. The teams play again in the regular-season finale on Apr. 12. Both teams next play Saturday. 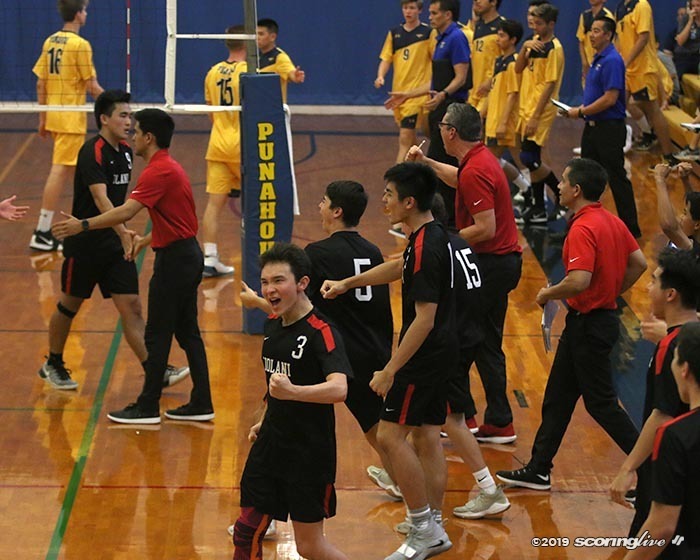 Iolani will play PAC-5 (2-4) at 3 p.m. at Ala Wai and Maryknoll will face first-place Mid-Pacific (5-1) at 4 p.m. at Sand Island State Recreation Area.